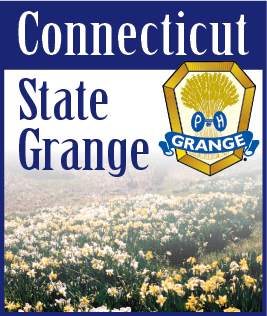 In mid-April, I along with my husband Bruce and Gordon Gibson attended the National Grange Legislative Fly-In at the National Grange office in Washington D.C. About 35 Grangers from all over the country attended. There were several youth members who attended as well as some Junior Grangers. We arrived on Sunday and had an informal meet and great at the hotel. Monday morning started out on a high note with a power outage at the hotel due to severe thunderstorms that passed through during the night. It was interesting taking showers by the light from the flashlight app on my cell phone. At least we still had hot water. We spent Monday listening to a number of speakers. Burton Eller, the National Grange Legislative Director filled us in on some of the legislative agendas items that they are involved with. The National Grange has partnered with some other organization working to find solutions for combating and education the public on the Opiod epidemic. National Grange is watching state and federal proposals that may restrict access to healthcare such as the 1115 Waiver to Medicaid request in Massachusetts. They are following recommendations to allow importation of drugs from other countries and potential changes to the Medicare Part D program to close the “donut hole”. The 2018 Farm Bill was being presented in the Legislature while we were there but there is not much information available yet. The Grange will be monitoring the Farm Bill as it progresses. Risk Management with crop insurance and conservation are among some of the areas they will be watching. We had a multiple of speakers concerning the expansion of rural broadband. This is not a big issue for out state but in parts of the country it is important. It is estimated that 19.4 million people do not have access to high speed broadband and of that ½ are children. Farming businesses have become more computer dependent and need access to high speed internet. More schools are requiring the internet for homework assignments and rural children are unable to get the internet in their homes. This requires them to go to libraries or other locations to do their homework. There are a couple of proposals that ask for the release of unused spectrums of the UHF bands and open them up to broadband use. After lunch we had a briefing by Ray Starling, from the White House who is the Special Assistant to the President for Agriculture, Trade and Food Assistance. He said that the President is looking at how to expand our agricultural economy. He has four areas they are looking at: 1. Agricultural Trade, we are exporting more that we import and what is best for financial economic growth. 2. Agricultural Labor: we discussed the H2A program which is the program for using migrant workers for agricultural needs. One of our Grange members had participated in this program and presented the 450 page application that needs to be filled out each season for the H2A program. He asked for them to review and streamline the application process. 3. Regulatory review reform and 4. Infrastructure: the President is requesting that 25% of infrastructure funds be set aside for rural programs in the form of block grants for the states to manage. We then traveled over to the Department of Agriculture for briefings by three members of the department. They talked about some of the programs and grants that are available for rural communities. Tuesday we all spent the day “on the hill” visiting with our National Senators and Representatives. We dropped in at all of the Connecticut Legislative offices and left information for each office. Bruce, Gordon and I had a long visit with Representative Courtney of the 2nd district where besides the issues that National was watching we discussed some of our interests. We also had a productive visit with the agricultural staff member in Senator Murphy’s office. Some of the issues that we discussed concerned funding in the upcoming Farm Bill. We recommended that some of the programs funding allow for ‘wiggle room’ adjustments so that the state could adjust the programs making them more conducive for the States needs. As Gordon was quoted, “one size does not fit all”. We brought up the question of the definition of milk. We found that a bill has been presented defining milk but at this time they have not been able to get the leadership to move it along for a vote. We asked about the status of a bill that would make adjustments to the Medicare program to eliminate the loophole where elderly are being placed in the hospitals on observation status and not admitted. They get the same care as anyone admitted. When they have to move to a convalescent home Medicare is denying paying for the home as the patient was never admitted to the hospital leaving the family to pay for convalescent home care. This bill is also stalled.